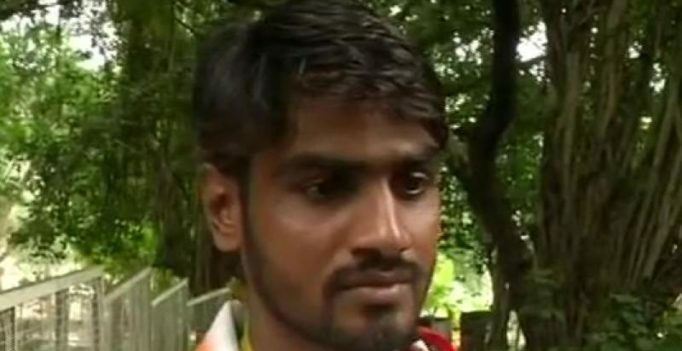 Bhopal: National para-athlete Manmohan Singh Lodhi, who was promised a government job by the state authorities, is now forced to beg on the streets of Bhopal to earn the livelihood for his family. The athlete, who proved his credentials during the 100m race event at the 2017 National Games, alleged that despite meeting the Chief Minister four times in the last one year to claim the promised employment, he got no positive response from the government’s side. He further stated that if the Chief Minister did not come forward to help me then he would earn his livelihood by begging on the streets. “If Chief Minister doesn’t help me, I will earn my livelihood by begging on the streets,” he added. Lodhi had lost one of his hands while performing the labour work but he did not get disheartened by the incident as he went on to give an impressive performance during the 2017 National Games.